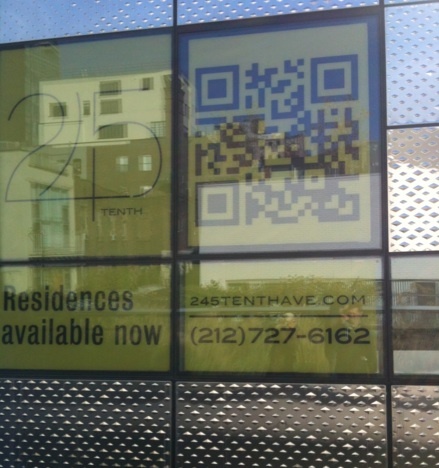 A couple of weeks ago I offered four tips on how best to use QR codes in out-of-home media. Since that time, I have had the chance to get ‘in the field’ in London, New York and Los Angeles – the perfect opportunity to further test whether the theory plays out in the real world. My initial observation is the yawning gap between QR code usage in Australia and the UK and what is being done in the US. It seems you cannot walk a block in Manhattan without encountering a QR code in a store front, on street furniture, point of sale material, labels and price stickers, menus and flyers. 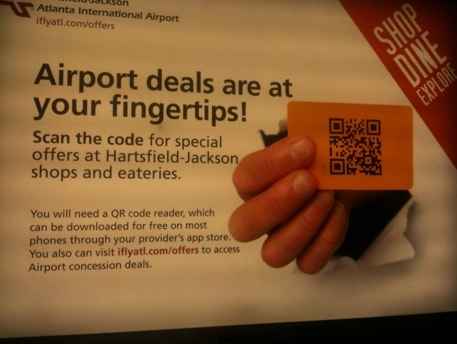 In the ‘indoor out-of-home’ spaces of malls and airports, QR codes were equally visible. In this post I have attached a couple of examples of the good, the bad, and the impossible to scan. This is a store directory panel in one of EYE’s New York malls. 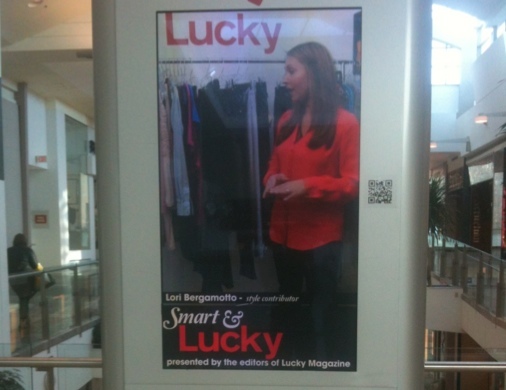 The mall owner, Simon Property Group, has developed a great iPhone app and runs a QR code campaign as well. They also have an SMS service to allow shoppers to text for a mall map to be delivered to their phone. The codes are positioned throughout the mall. The QR code is a little small and a little high, but it’s everywhere, which means shoppers get used to it. It works, and the functionality on the back end, like the app, is genuinely useful. 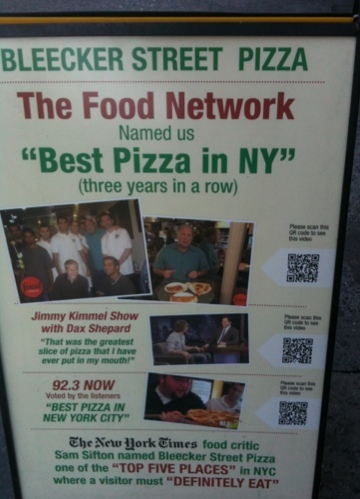 And now for something a little unusual: the world famous Bleecker Street Pizza has an A-frame on the footpath with QR codes that link to TV coverage of the pizzeria and its products. Straightforward instructions on what to do and interesting content (if a little too long) means it’s a simple, effective way to grab those people uncertain about whether to enter the restaurant or not. This one is really strong. It’s not ‘creative’ creative, but the proposition is clear – scan here for retail discounts at the airport. There are very clear instructions, the code is accessible and prominent, and the offers are instantly redeemable and relevant to the location. Nice. Hmmm… a really interesting visual that scanned easily. It’s in the window of an Ed Hardy store in Atlanta and it caught my eye. I wanted to see what the code led to, but the landing page is not great from my perspective. Clearly I am not Ed Hardy’s target market, but an online catalogue that requires a few click throughs tests the patience a bit. And there is no online store offering; it’s just a catalogue. On the positive side though, you have the catalogue with you on your phone, so you can keep browsing after you’ve left the mall. This code is for a new apartment block in Chelsea, situated right next to the High Line. The code is very visible as you walk along the line and is a great opportunity to get more information on the spot about the property, the surroundings and so on. But the sunlight was the enemy. Try as I might, I could not get this code to scan – the sunlight reflecting off the windows simply killed the ability for the code to be scanned. At the Staten Island ferry terminal, the actual code on the billboard is very large – several feet across. But it is high up and impossible to scan at a distance. Getting close enough to fill the viewfinder created such a tight angle that the reader couldn’t scan the code. I took a photo and scanned that (yes, I know, get a life…). The link is to a video promo for the college. Pretty neat, but another lost opportunity. This one is a mystery QR code. What is it? Why is it there? What do I do? Should I bother? Here we have a digital panel (running too many ads in a loop) with a fixed QR code. No relevance, no visible offer, no call to action. I suspect this might be a good example of using a QR code because that’s what people are doing these days, not because there is a comms plan behind it. 1. Indoor environments work better. 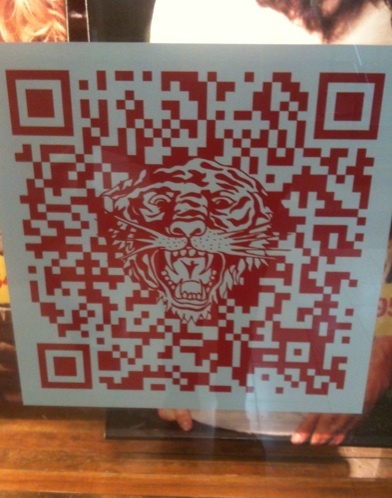 You can get close to the QR code, it is a more controlled environment, and size is less important. All of which makes for an easier scan and a better connection with the consumer. 2. Height is your enemy. At or near eye level works best for QR codes. 3. The creative still needs to convey the consumer benefit behind scanning the code. 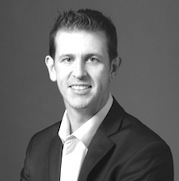 The proposition needs to be clear enough and relevant enough to get the interaction started. 4. Where you land is as important as where you launch from. Immediacy of the content and offer is so important. More than a couple of touches required on my phone and you lose me.